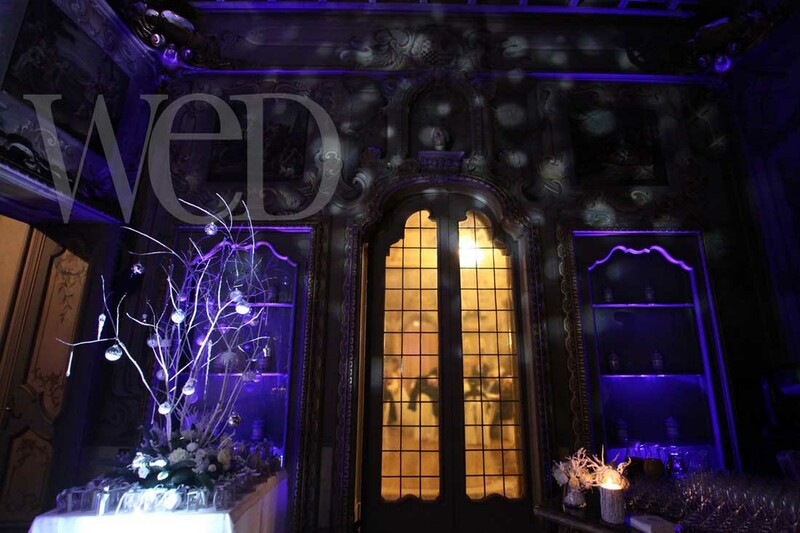 Often the light design is underestimated in wedding and event design. 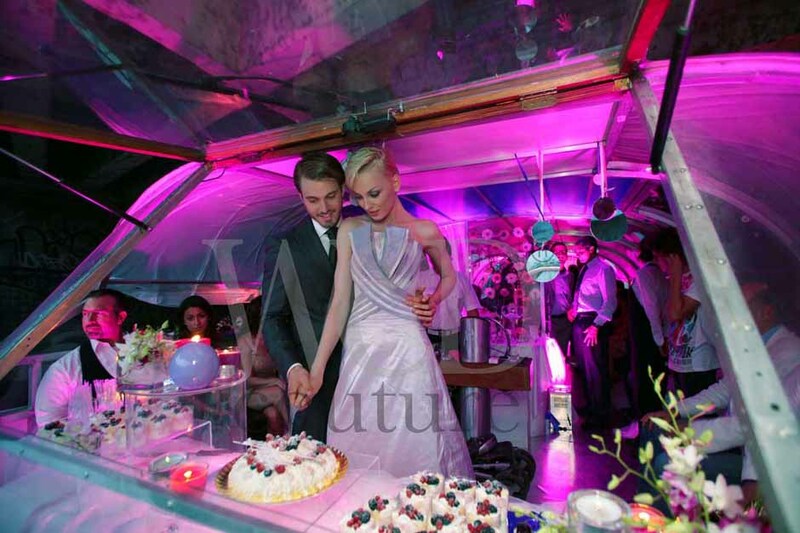 If, however, you are searching for a special luxury feeling to your Italian event, you should think closely before saying no to this important detail. Let me see if I can make this clearer to you… Think about the Amalfi Coast, Portofino, Venice: When are these places more beautiful? The answer is immediate: Even though they are gorgeous in the daylight, they are even more stunning and full of magic at sunset and at night-time. And that is mainly because of light. A good light designer is worth every cent you pay. 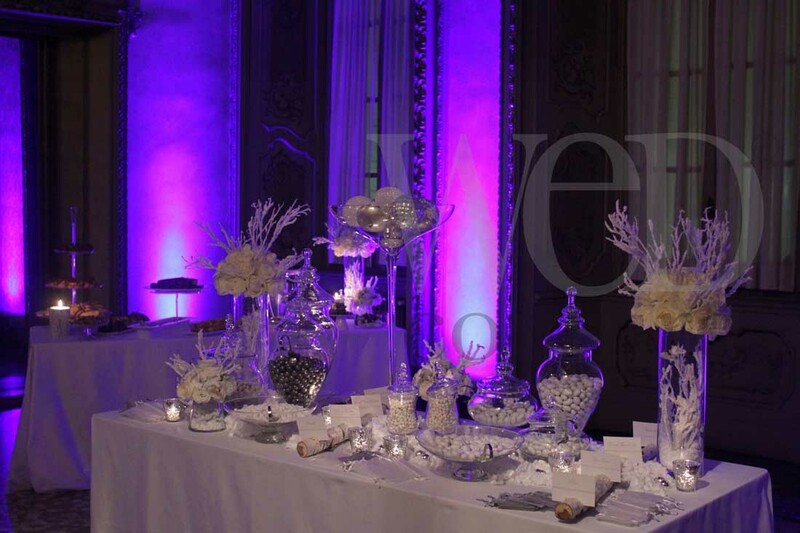 The capability of highlighting the beauty of the venue, getting your guests to notice the focal points in the flower arrangements, featuring a particular tree, a fountain or an architectural detail of the surroundings Ã¢â‚¬” all these characteristics are fundamental to enhancing the elegance of a wedding, a party or a corporate event. With the right light design, you can even have a reception without flowers and no one will notice Ã¢â‚¬” the light itself creates this special city-chic atmosphere that is second to none. Wedding light design is a top-notch service that I truly recommend our clients to get. The impact on the good moods of your guests is enormous and used the correct way, it can transform an anonymous party into a lush one-of-the-kind experience in a way that nothing else can. The importance of lighting and of light design in a wedding or event cannot be stressed enough. 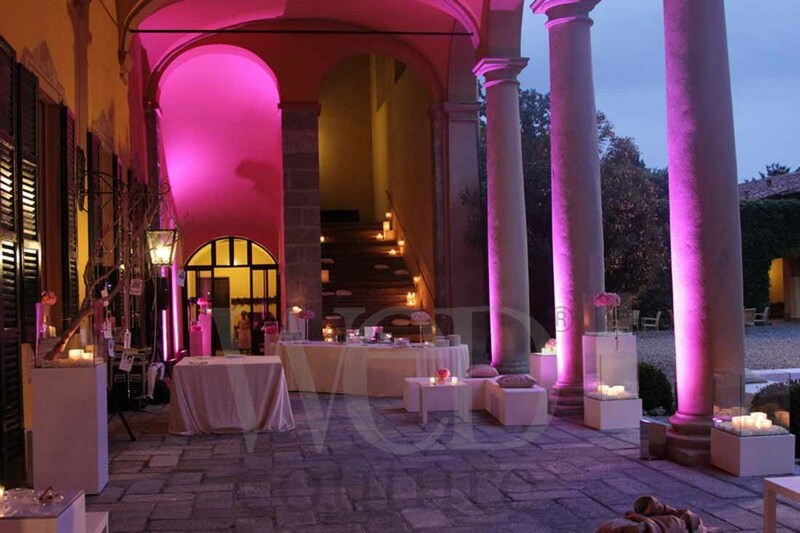 If you are looking to have a bespoke event or wedding in Italy, an accurate light design should never be missing.